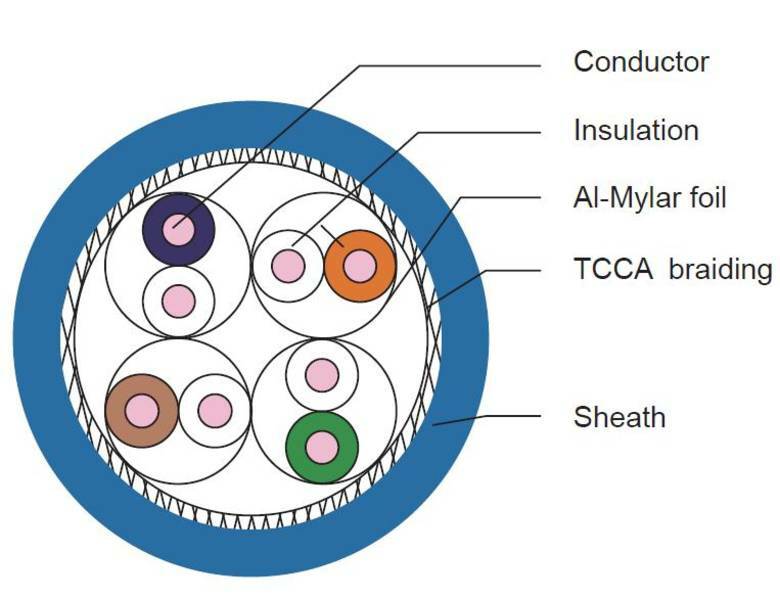 Premium-Line 10G Cat.6A cabling solution provides transmission performance that exceeds the industry standards for category 6 parameters and supports the operation of 10GBASE-T over 100-meter. 10G Cat.6A cabling solutions are qualified for frequencies up to 500 MHz and deliver guaranteed applications. 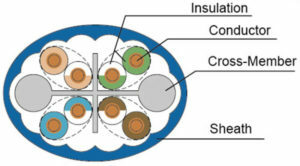 EN 50173-1, IEEE 802.3an™ Category 6A specifications. 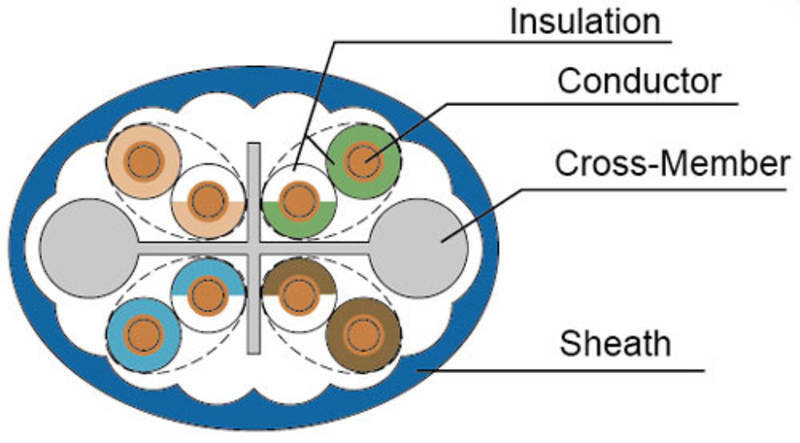 Supports T568 A&B Wiring & Easy installation. 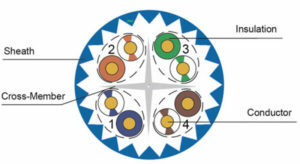 Offers total solution of 10G Cat.6A Network Cabling System. Nor. Typ. Nor. Typ. Nor. Typ. Nor. Typ. Nor. Typ. Nor. Typ. 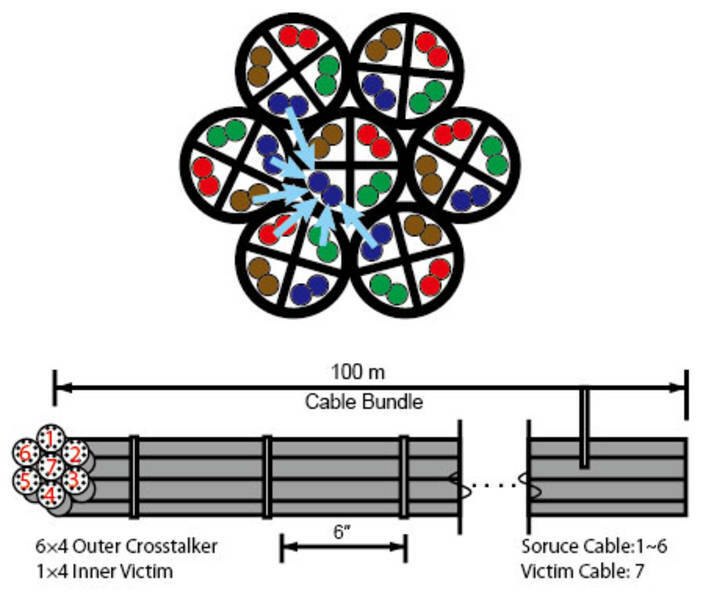 During full network operation, all wire pairs in a cabling bundle simultaneously transmit in full duplex. 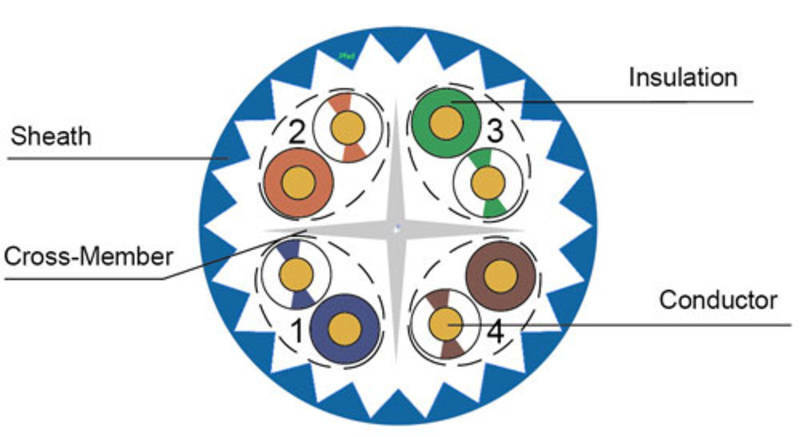 Therefore, every single wire pair will be affected by transmissions on numerous wire pairs surrounding it in a cabling bundle or pathway. 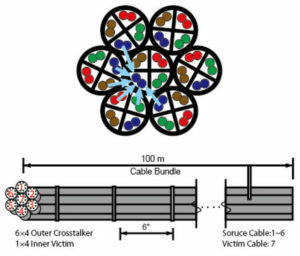 AxTalk is a challenge for twisted-pair cabling as it is the most significant disturbance or noise source for the 10 Gb E applications. Premium-Line Cat. 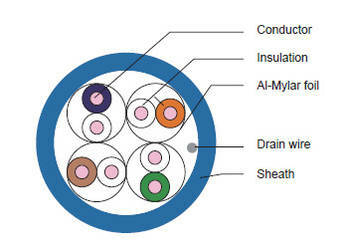 6A 6 round 1 cable is right design to fulfill this requirement.